On this page you will find statements and opinions by members of Rights in Russia's Advisory Council (International). Andreas Umland et al: "Council of Europe Should not Become Russia’s Trophy"
Appeal of European experts to the members of the Council of Europe regarding the possibility of renewing the voting rights of Russian delegation despite Russia’s failure to comply with any PACE resolution. (including suspension of the voting rights in PACE) on Russia, introduced after theannexation of Ukraine’s Crimea and military aggression in Donbas. [Read more]"
The full version of this appeal is open for signature here. 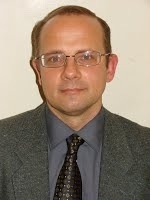 Andreas Umland, one of the signatories, is a member of the advisory council of Rights in Russia. We publish this translation of an article by Jens Siegert, written for the 70th birthday of Arseny Roginsky, to mark the passing of the Russian historian and civil society activist, leader of Memorial, on 18 December 2017. Strange as it may seem, I have no clear memories of when I first met Arseny. I only know when it must have been: back in 1991 in Cologne, at the Heinrich Böll Foundation on the street named Unter Krahnenbäumen. Arseny Roginsky, together with Yelena Zhemkova and Oleg Orlov, was in the middle of Memorial’s legendary “Prison Tour” through North Rhine-Westphalia’s penal institutions, organised by the Heinrich Böll Foundation. If I remember correctly, at the time his official role was expert adviser to a commission on the reform of Russian camps and prisons. O tempora, o mores! 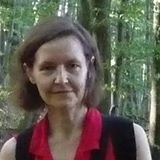 I was in my early 30s at the time, a supporter of the Heinrich Böll Foundation and a neophyte journalist, and was making a radio documentary on the “Ostarbeiter” or Eastern workers – the many millions of people brought from the Soviet Union to perform forced labour in Germany during the German occupation. The first project embarked on jointly by Memorial and the Heinrich Böll Foundation was to preserve the memory of these people, but it was Lena Zhemkova I interviewed (in fact I recently handed over a cassette containing my recording of the interview to the Memorial archive) and I have no recollection of Arseny Roginsky at all – which is odd, because even back then he must have been the one in charge. There’s nothing so very strange about it, however, because one of the first things I noticed about Arseny Roginsky later, at the Moscow offices of Memorial, was that he is a boss who likes to fade into the background. Critics might dismiss it as pulling strings, which of course is (also) true, since it is true of all good organisers. Yet Arseny Roginsky’s style of leadership – both inward and outward – stems primarily from authority, knowledge and skill, and in my opinion from a deep well of experience; not only his experience during the dissident era, but also his experience of working at Memorial. This is a wise approach, and perhaps the only possible approach to fostering team spirit among people who are working voluntarily towards a goal which is constantly under threat from outside influences. I believe however that Arseny Roginsky has more than just practical reasons for practising this particular style of leadership (if one can call it a style at all), since it also emanates from his deeply held democratic convictions and respect for every individual. As I understand it, the democracy which characterises the internal structure of modern-day Memorial also stems from this quintessentially democratic attitude of Arseny Roginsky (and naturally of many other friends within the organisation). This makes Memorial not only somewhere that highly professional and important work is carried out tirelessly, but also a flexible and stable entity; in fact I would even go so far as to say that this inner vitality, even though it occasionally tips over into conflict, is one of the most important prerequisites for the organisation’s stability. At this point I need to make a brief jump forwards in time, to one of many internal strategy discussions that took place in the first few years of the new millennium and at which I referred to Arseny, without any hidden agenda, as a “human rights activist”. He reprimanded me indignantly; “I’m no human rights activist!” This confused me, because the struggle for human rights is and always has been one of the cornerstones of Memorial’s activities. After some thought, however, I understood; human rights activists must be unswervingly principled, and they must call out human rights infringements wherever and whenever they see them. This attitude is entirely right and laudable, but can sometimes be politically impractical. And Arseny Roginsky is a deeply practical person, a “man of the world” so to speak. He is flexible, good at networking and enjoys a position of authority not only among his friends, but also – and perhaps more importantly – among his enemies. He is astute but merciful, demonstrating his familiarity with the human condition – although occasionally a sweet yet terrifyingly evil smile will appear on his face… but let’s jump back in time again to when I first met him. After moving to Moscow in 1993 as a correspondent I continued to work for the Heinrich Böll Foundation and became a point of contact for Memorial, long before I opened the Moscow-based office of the Foundation in 1999. Young and inexperienced as I was, it was no easy task to be noticed and taken seriously by Arseny Roginsky, whose trust had first to be earned. This holds true everywhere, but particularly in places like Russia where society has suffered such severe trauma, and where institutions count for little and personal relationships for a great deal. It was around this time that our political partnership also began to take shape. Back in the 1990s, I had acted as a true Westerner by pestering many of those in the Russian NGO scene, including Arseny Roginsky and other Memorial supporters, to engage more with politics. They were fervently opposed to this suggestion, regarding anything to do with politics as dirty, immoral and potentially hazardous. This all changed at the end of the decade when politics caught up with the NGOs; under the new presidency of Vladimir Putin, NGOs quickly became one of the groups which had to subjugate themselves to the state if they wanted to stay out of trouble. The previous reluctance of the NGOs to get involved in politics turned out to be naïve, and in some cases downright dangerous. Arseny Roginsky was one of the first to recognise this, and began working with others to organise the protection of Russian NGOs, not only on a practical level but also on a symbolic or in other words political level. These changes were symbolised most clearly by the Voskresensk Convention adopted in autumn 2000, following regular meetings between partners of the Heinrich Böll Foundation in Russia; these meetings formed part of what became a whole series of new political dialogue formats invented by Memorial and the Heinrich Böll Foundation. For the first time in Russian history as far as we know, in the Voskresensk Convention NGOs working in a wide range of different areas – environmentalists and human rights activists, women’s groups and consumer protection groups – promised to act in solidarity if any of their number were subject to attacks from the state. The Convention which was adopted in autumn 2000 was drafted by Alexander Daniel, but the idea behind it came from Arseny Roginsky. The most important practical manifestation of this new solidarity among NGOs was the Narodnaya Assambleya – a round table of leading NGO representatives, which was founded at around the same time and quickly gained de facto recognition as a negotiating partner of the Kremlin. Arseny Roginsky therefore played a leading role in the establishment of NGOs as fully fledged political entities in Russia. Arseny Roginsky’s most important achievement is however his involvement with Memorial, and the fact that Memorial has become the go-to authority for matters relating to Russia’s totalitarian past is in no small part due to his personal reputation and integrity. Even the Russian state still (as yet) deems him a force to be reckoned with, and any government-backed initiative in his field of expertise which does not have his blessing or the blessing of Memorial has a whiff of inauthenticity. Finally, and perhaps most problematically in Russia today; I know many people who regard Arseny Roginsky as a political opponent, some who regard him as an enemy (of Russia), and some who simply don’t like him – but no one who doubts his sincerity. Mary McAuley on Arseny Roginsky: "He did not give you an answer, he helped you find one"
The tributes to Arseny unwittingly reveal his rare ability to communicate with people of all ages and backgrounds. He must have been a good school teacher. It was not just that what Arseny said was almost always interesting but that he made you feel that what you were saying or asking was important. He did not give you an answer, he helped you find one. Negotiator, diplomat (in the best sense of the word), counsellor, and a man of principles, it would be nice to think that he is sitting, somewhere in the sky, talking of the present and future to a circle of old friends. It is exactly 80 years since the killing by quota began of Ukrainian, Russian and other prisoners sent to the notorious Solovki Labour Camp during the worst months of Stalin’s Terror. From 27 October to 4 November 1937, 1,111 prisoners were executed by the NKVD, including 289 Ukrainian writers, playwrights, scientists and other members of the intelligentsia. Their remains lie, together with those of nearly nine thousand victims, at the Sandarmokh Clearing in Karelia, near the Russian border with Finland. A review of: Gleb Morev, Dissidenty: dvadtsat' razgovorov [Dissidents: Twenty Conversations], Moscow, 'AST', 2017, 416 pp., 3.000 copies. Coming out as an active dissident in Russia (there have always been numerous passive dissidents, dissenters, protesters and protestants in that country) after the 1991 coup and counter-coup is still a very challenging step with uncertain consequences. The separation (or division) of powers (legislative, executive and judicial) is still not a reality; even the Constitutional Court has taken some very dubious decisions; the Duma (parliament) is usually regarded as a talking shop, not as a place for debate; the Presidential Administration can often exert more power than the Government; and elections are widely regarded as neither free nor fair. There is also a feeling among some observers that the dramatic events of 1991 in Russia replaced state socialism with state and state-controlled oligarchic capitalism, which is not a great change for the better, and may be even worse. Is President Putin really an improvement on President Gorbachev? Is Roskomnadzor any better than Glavlit? The regime has changed, but the political system hasn't, some observers write. How many Russians grasp the difference between 'regime' and 'system'? On the other hand, there are undoubtedly some changes for the better. Despite bans and restrictions on some denominations, religious freedom has increased; it is much easier for some dissidents in danger of arrest to slip abroad to relative safety; some dissidents can go to other countries to speak publicly and privately and then return to Russia; and, thanks to the recent real revolution, the digital one, it is now much easier to receive and disseminate information (but also, unfortunately, disinformation). Despite the notorious 'power vertical', horizontal communication is immeasurably easier than in Soviet times. But the key problem remains: have most Russians been forever so greatly genetically modified by the long Mongol and Tatar occupation that a parliamentary democracy in the Russian Federation, a huge Eurasian landmass, is simply an impossibility? What can present-day dissidents learn from their Soviet (or anti-Soviet) predecessors? (It goes almost without saying that they had and have no objection whatsoever to sovety, councils, as an invaluable institution.) How, in particular, can they reduce the danger of the present fraudulent neo-Soviet regime, led by a proud and unrepentant 'former' Soviet KGB officer, from being succeeded by a no less fraudulent neo-neo-Soviet regime, rather than by a different political system based on the rule of law? Gleb Morev was born in the key year of 1968, when a tiny group of dissidents felt morally, not politically, obliged to demonstrate (on Red Square in Moscow) against the Warsaw Pact invasion of Czechoslovakia, whose Communist Party leadership was trying to establish a law-based socialist regime with a human face. Morev was too young to play a role in the dissident movement in Soviet times. For all I know, he doesn't consider himself to be a dissident now. Maybe he just feels that there are useful lessons for his country to be learnt from the successes and failures of the 'democratic movement' of the dissidents during what turned out to be the last quarter-century of the USSR. Morev's book, prefaced by Jens Siegert, well-known already to seasoned readers of Rights in Russia, contains twenty conversations (almost monologues) with high- and low-profile dissidents. Three people he approached refused to cooperate, others were unavailable, and two, Fr. Gleb Yakunin and Valery Senderov, died before they could be questioned. The book is rather awkwardly divided into four parts, and there is no need, I think, to read these conversations – some short, some long – in the order in which they are printed. Depending on your fluency in Russian and the time you have available, pick and choose – every participant has something, and most participants have much, of interest to say. Among the contributors whose names will be known to many readers of this note are Sergei Kovalev, Pavel Litvinov, Gleb Pavlovsky and Aleksandr Daniel', three of whom are still living and active in Russia today. Others who played a very important role well before Gorbachev's unexpected glasnost' are Sergei Grigor'yants, Gabriel' Superfin, Vera Lashkova. Vyacheslav Bakhmin, Vyacheslav Igrunov, Sergei Khodorovich, Viktor Davydov, Mikhail Meilakh, Yelena Sannikova and Lev Timofeyev, just over half of whom are still based in Russia, some of them enjoying (I hope) a well-earned rest. All the other six, three of whom live in the West, also deserve our gratitude for what they did in very difficult times: Irina Kristi, Sima Mostinskaya (the widow of Aleksandr Lavut), Marina Shemakhanskaya (the widow of Andrei Kistyakovsky), Fr. Boris Mikhailov, Masha Slonim and, last but in no way least, the Lithuanian poet and essayist, Tomas Venclova. The fact that so many of these worthy people are now living (most of the time) outside Russia has different causes, one of which may be that what happened in the Soviet Union turned out, in the Russian Federation, not to be a revolution. The Cold War within Russia quickly started up again and intensified immediately after Putin became Prime Minister in 1999. There appear to be no dissident figures now in Russia (or in the West, for that matter) of the stature of Sakharov and Solzhenitsyn, and Western support and supporters of today's dissidents in the Russian Federation are muted, perhaps because of the widespread view that 'the Kremlin' is no longer a serious threat to law-based states elsewhere in the world because the Cold War is over. Allegedly. Martin Dewhirst lectured on Russian literature and history at the University of Glasgow from 1964 until 2000. He is an expert on Russian Samizdat and on the Tsarist, Soviet and neoSoviet systems of censorship. Of late he has been working to improve the conditions in which people deprived of liberty in Russia are held. Russia’s Supreme Court has ignored the country’s Constitution and the decades of religious persecution under Soviet rule and banned the Jehovah’s Witnesses, labelling them ‘extremist’. It has thus placed around 175 thousand believers in the Russian Federation in danger of criminal prosecution for their faith. Jehovah's Witnesses were persecuted earlier both in the USSR and by Nazi Germany.